Why do people lie on an income and expense declaration? And what can you do about it? Lying on Income and Expense Declaration Forms – Why is it Done and How do You Prove it? An income and expense declaration is a mandatory and often used form in California divorce or parentage cases. But how do spouses or parents lie on the form, hide information and what can be done about it? The risk versus reward is worth lying. Sometimes, those that lie on the income and expense declaration do get away with it. Sometimes, injustice is done as a result. Whether or not it is too late to do something about it in your specific case is not what this article is intended to answer. That answer can only come after consulting with an experienced family law attorney. Such issues usually need a thorough review of the file to find out what happened in your case and why it happened. Retaining an attorney to do that is well worth it. This article will discuss (a) the different types of deception we have seen on an income and expense declaration and (b) some helpful tips to combat it. Before we begin, let’s briefly talk about what an income and expense declaration form (Judicial Council Form FL-150) is and its significance. Why is an income and expense declaration important? An income and expense declaration is the foundation for a husband, wife or parent’s testimony to the Court about his or her income and expenses. It is often the first impression the Court has of the spouse or parent. Since some judge’s first instinct is to trust what is stated in the income and expense declaration, its importance cannot be understated. 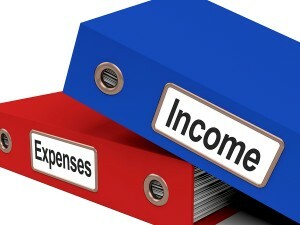 What does each page of the income and expense declaration signify? Before we go through each page of the income and expense declaration, there is one important thing every spouse or parent should know. You’re not limited by the amount of space on the income and expense declaration form. You can use an attachment page to expand on any information you provide so long as it is properly attached to the income and expense declaration. At our family law firm, when we do this, we title each attachment as a continuation of the applicable section. For example, if the attachments are an expansion of section 11, we specifically label it “Attachment to Section 11.” It is permitted to have more than one attachment to the income and expense declaration. These sections ask for the most basic information. General employment information, age and education, tax information and the other party’s (spouse or parent) income. The most commonly confused one is the other party’s income section. Some just don’t know what to put here – what if you don’t know the income? What if you have a general idea but the other person keeps most of that information from you? A lawyer’s advice helps and one can advise you whether the better answer on this section of the income and expense declaration is “unknown” or something else. Sections 5 through 11 are where the rubber meets the road. It’s arguably the most important page. Think about it logically. Without this, what actual proof do you have of the income within this form? Now, take a look at what it states below section 7 that deals with self-employment income. Attach a profit and loss statement for the last two years or a Schedule C from your last federal tax return. Black out your social security number. If you have more than one business, provide the information above for each of your businesses. Same issue as before – without this information, the other spouse or parent is relying on whatever is listed on this income and expense declaration section and not on actual proof of it. Section 9 is a bit of a forgotten section. Many spouse or parents argue that their income has changed recently but then forget to fill this part out that specifically asks for whether a change of income has occurred. The deduction section 10 is self-explanatory but section 11 is sometimes screwed up. Specifically notice the part in section 11c that asks for real property (land, home, commercial building, etc.) and personal property (personal property is anything that isn’t real property) also states “estimate fair market value minus the debts you owe.” In other words, this section asks for NET value, not gross. Section 14 asks for the installment payments and debts and the key word is “not listed above” in section 13. Section 15 is typically completed by the attorney. Section 16 is about the amount of time with the children. This helps the judge figure out what each parent claims is their respective timeshare with the children. Parenting time being a key part to child support under California law. Sections 17 through 19 go through other expenses or hardships the parent wants the Court to consider when evaluating support. Section 20 is the catch-all section that gives a parent the opportunity to list anything else they want the judge to know. Normally, this is not done on the form but on a typewritten declaration signed under oath. What are the most common lies or omissions on the income and expense declaration by the spouse or parent who doesn’t want to pay support? Let’s go through lies on an income and expense declaration by the spouse who really wants to avoid paying support. 1. Income sections are left blank hoping the other spouse or parent won’t notice. 2. Income amounts are specifically misrepresented. 3. In section 11, one common mistake we have seen spouses or parents make is to be TBD, MINIMAL or similar words instead of a number. This is not a good tactic and can be used against the person who did it as an intentional attempt to not give information required under penalty of perjury. 4. Verification of income (paystubs, tax returns at the hearing, etc.) is not produced attached or only incomplete information is attached. 1. Expenses are exaggerated to show less net disposable income. This is usually not helpful because child support and temporary spousal support is based in large part on gross (pre-tax) income. 2. Expenses understated to show the other spouse or parent must be exaggerating his or her expenses. What are the most common lies or omissions on the income and expense declaration by the spouse or parent who wants to receive support? 1. The other parent or spouse’s income is exaggerated to make it seem there is more money available for support. 2. The parent or spouse’s own income is not correctly listed, often when the parent completing the form works for cash (under the table) or works a part-time job. 3. Other sources of income not directly from salary, wages or employment not listed. 1. Exaggerated expenses to show a greater need. 2. Failing to list others who contribute toward the expenses. This is quite common in cohabitation cases because cohabitation with a non marital partner matters. 3. Listing expenses the spouse or parent doesn’t even pay and the parent who may be paying support does pay. How can you expose the lies on the income and expense declaration? Trying to prove the other spouse or parent is lying on the income and expense declaration can sometimes feel like roping the wind. Is it really going to be a “he said” versus “she said?” Will you be able to prove the information provided on the income and expense declaration is false? The first thing we will tell you is that the advice and guidance of experienced family law attorney is critical here. Trying to do this on your own is not smart and often not effective. What a family law lawyer can do for you is show you do not have to rely just on the income and expense declaration to get the information you need. You can conduct something called discovery, which is a formal request for information. Discovery includes a request for production of documents, interrogatories which are either form or specially drafted questions, requests for the other spouse or parent to admit to certain facts and even taking the other spouse or parent’s deposition which is an in person question and answer session under oath. In addition, subpoenas can be issued to employers, banks or other persons or entities to acquire information. This is the most effective way of exposing lies or concealment on an income and expense information. In other words, you don’t simply rely on what the other person claims to be the truth, you make them prove it. Through the collection of documents, interviews and testimony of witnesses, you can start to break down the other side's deception and expose it in court. Another effective tool in the more complex cases or those where the accounting is not simple, use of a forensic accountant experienced in family law can be very useful. Who you choose as your forensic accountant is important but so is the information that you and your lawyer provide to him or her. Some forensic accountants are court appointed while others are privately retained. No matter which way you go, seriously considering one for your case is something you should always speak with your family law attorney about. Did you find the information in this article helpful? If you are serious about the need for a family law attorney and are ready to retain one, please contact us. Everything we have written here is for California cases only and if you have a family law matter in Orange County, Los Angeles County or any of the other five Southern California counties, contact us for an affordable strategy session. How to Protect Your Child From a Narcissistic Father or Mother? How Do You Kick Your Husband Out of the House, Legally?